4. Click New Facebook App in the right most corner of the window. 5. 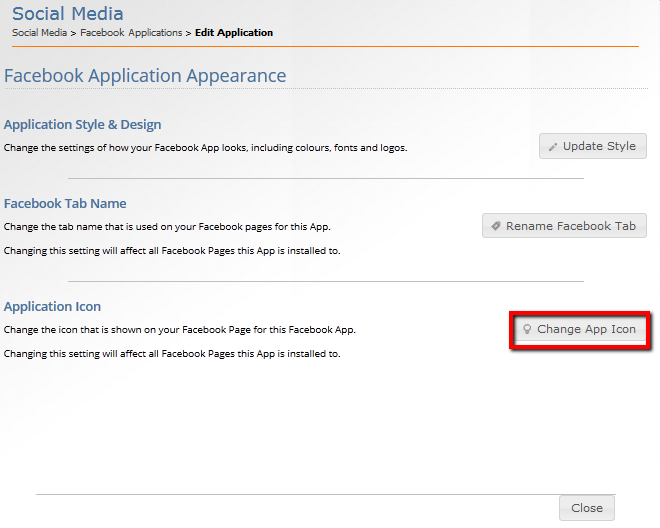 Choose the Fan Page(s) that you would like to add your new Facebook Application. 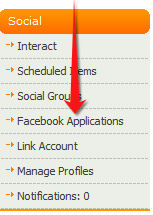 Custom applications can not be installed to profiles or groups. 8. 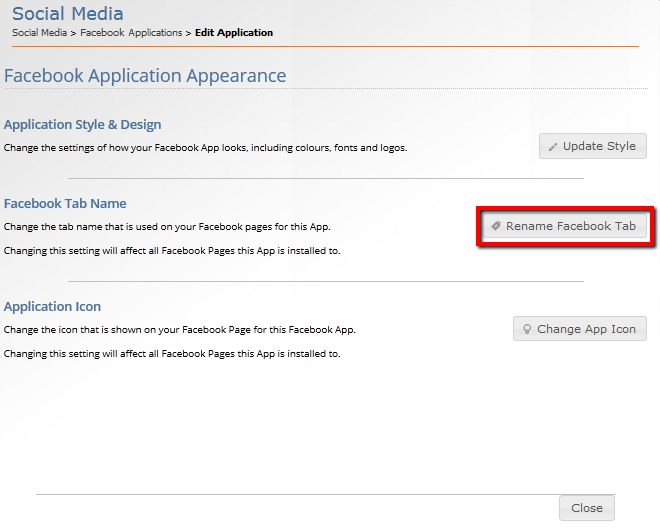 Enter a label for your app, this is what the patron will see on your Fan page. 10. 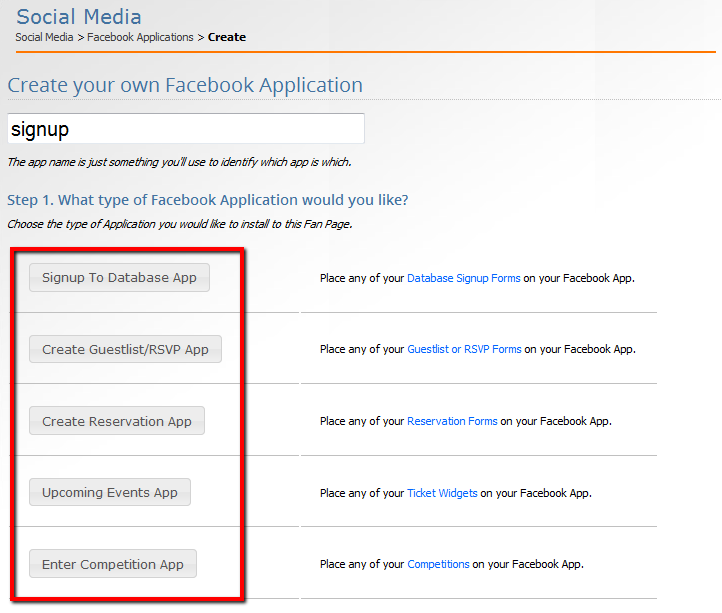 Select which form you would like to use for the app. 12. 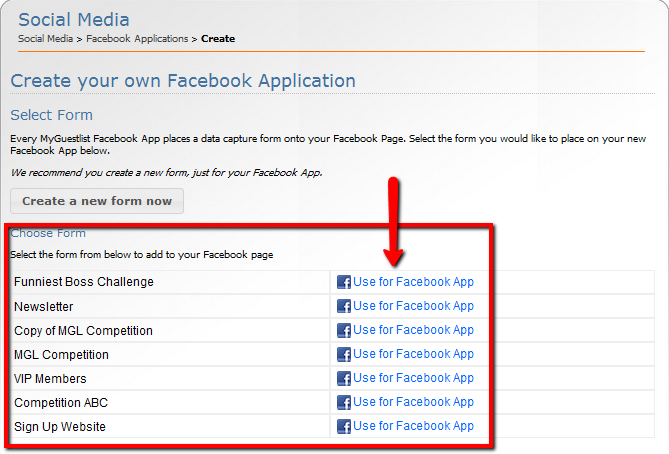 Click Create My App to apply it to your fan page with the details provided. Add/Remove Pages - you need to have at least one page selected, but you can have this form applied to as many pages as you like. Tick a page to add it or un-tick a page to remove it. Please see these instructions to edit the appearance of your app. 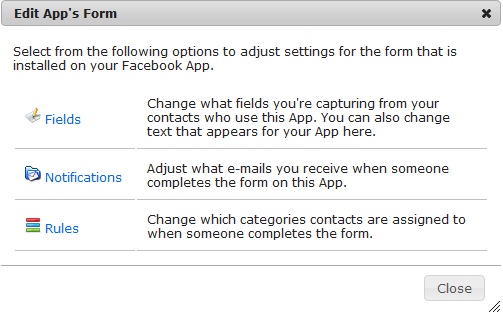 You can change the fields at any time as well as set rules and notifications through this section. Submissions - if you would like to view the people who have made submissions through your Facebook app, this is where you go. Delete - This will remove your app all together, from your Facebook page and MyGuestlist.